What is writing for academic purposes? Academic writing is the style of advanced writing that’s used by students at university or college and academics, such as, PhD students, lecturers and researchers. Academic writing is a more advanced style of writing than would be used by children at school. Writing for academic purposes includes the essays, lab reports and academic papers written by students, theses written by MSc and PhD students and research papers written by scientists. 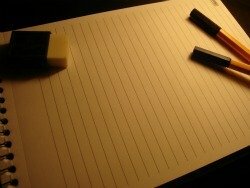 Why is writing for academic purposes important? It can be used as an assessment of students’ knowledge. It can be used as proof that a specific experimental result has been obtained (when published). It can be used to help learn new information (you need to understand the new information before you can write about it). It can help to clarify your thoughts and identify any gaps in your knowledge or understanding. How to write for academic purposes? When writing academic papers, or any other type of academic writing, you need to remember that you’re writing for other scholars. That means that they’ll already know a lot of the basic information so you won’t need to repeat those things again in your own writing. Presenting general information – a clear and concise presentation of the subject matter which shows understanding. Argument and persuasion – Here you’re trying to convince your readers that your view point or argument is the correct one. Exposition – Here the writer would be trying to explain something in enough detail for the readers to be able to understand. Description – The writer is describing something so that the reader would recognize it or understand how to do something. The introduction should be the first paragraph (or more in a longer document). The introduction should include some background information which will help the reader understand your topic and a presentation of the aim or thesis statement. The aim or thesis statement tells your readers what you’ll do in the document. The body is where you develop your thesis statement or answer the question you set out in your aim. You’ll need to use at least several paragraphs to do this, or more often, several pages of text (your work needs to be suitably detailed). The exact structure of the body paragraphs will depend on the way that you choose to present your argument. But no matter how they fit together they should flow and the main points should be linked together and follow on from each other. The conclusion should be the final paragraph at the end of the text. It should act as a summary of everything you’ve already said. It should show that you’ve answered your thesis statement or aim. Writing for academic purposes is very important as the quality of what you write could affect the rest of your life. If you write poorly and get a lower quality degree you’ll find it harder to get a good job. If your thesis writing is poor you might fail. If you paper isn’t well written it might not be published. Take time over your academic writing and make sure it’s perfect. An important part of getting it perfect is to proofread your writing, see the section about English proofreading or the page about academic proofreading. If you’d like some help proofreading your work or an experienced academic writer to look at it and give comments, before you submit it, see the page about my service or contact me, to ask me any questions.